Before Flying Nun, before any ‘Dunedin Sound’, there was Toy Love. Now more than 30 years later, the five-piece (Chris Knox, Alec Bathgate, Paul Kean, Jane Walker and Mike Dooley) are set to receive both the New Zealand Herald Legacy Award at this year’s New Zealand Music Awards and an induction into the New Zealand Music Hall of Fame. To celebrate, Flying Nun and Real Groovy Records have teamed up to for the release of the Toy Love double LP on November 3. The 28-track compilation collects all the A & B sides of the three Toy Love singles, plus the best demos from 1979, a live track and even a radio jingle. 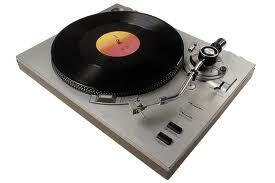 All mastered for vinyl, straight from the original analogue tapes, no nasty CDs nor digital sources were used at all. All housed in a gatefold sleeve featuring original art work and a 24 page booklet to accompany the release. Pre-order a copy of the Toy Love double LP through the Flying Nun website here.